Contrary to some wicked rumours that were spread last week, top Muslim broadcaster and Master of Ceremonies, Alhaji Rasak Aremu Gawat is not dead but is still missing. Please read Governor Babatunde Raji Fashola's statement on the matter next. 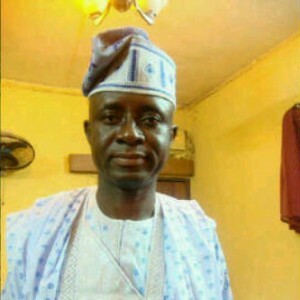 Lagos State Governor, Mr. Babatunde Raji Fashola (SAN), on Sunday appealed to Lagosians who have useful information regarding the where about of Television presenter, Alhaji Razaq Gawat to come forward with such information to facilitate the current efforts by the police and the State Government to find him. Governor Fashola in an interview with newsmen said the success of any investigation by the Police is based on information by the people adding that anyone who brought any useful information that could lead to the finding of the missing person would be substantially rewarded. “I am optimistic that we will find him. I urge everybody to remain hopeful that we will find him. I know the police are working. They have some useful information that they are sharing with me. We are pursuing the leads, it may take time. We are checking all information. So, anybody who has any information that may lead us to him let us know. My number is 08034301122”, the Governor said. Fashola while reiterating his call for useful information, urged the people to remain calm, saying “I know that the Police are working hard at the leads that we have picked up. Everybody who has reason to believe that he (Gawat) could be here or there must help us. Call 767 or 112 emergency toll free numbers to inform the security agents”. Alhaji Razaq Gawat, 50, the Chief Executive Officer of Gawat Communications and anchorman of the NTA Channel 10 popular Ramadan Programme, “Edide E Ji Saari”, was declared missing Thursday last week after a search party found his car abandoned at Apongbon with no trace of him. Labels: Gawat, Gawat not dead but missing, Gov. Fashola, Lagos State, Missing broadcaster, Reward.